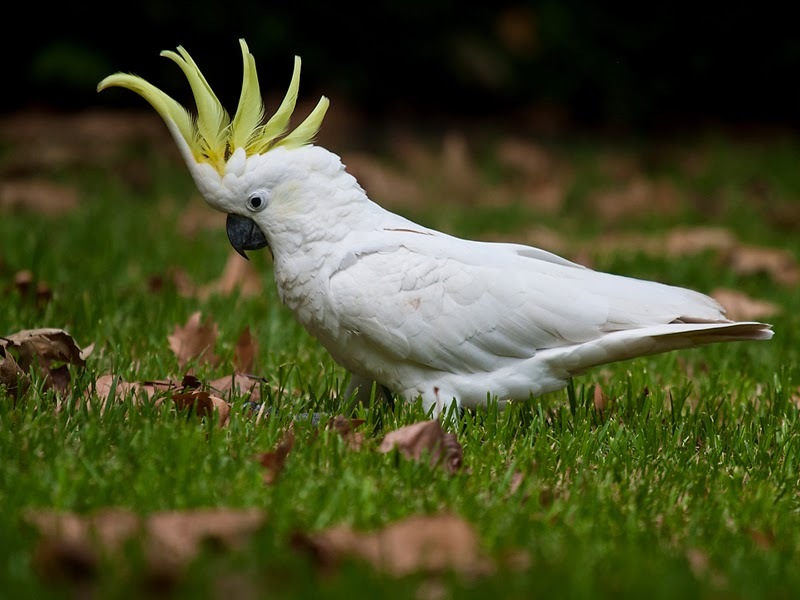 They are delightful and popular birds with many having brilliantly coloured plumage making them very much in demand as pets. 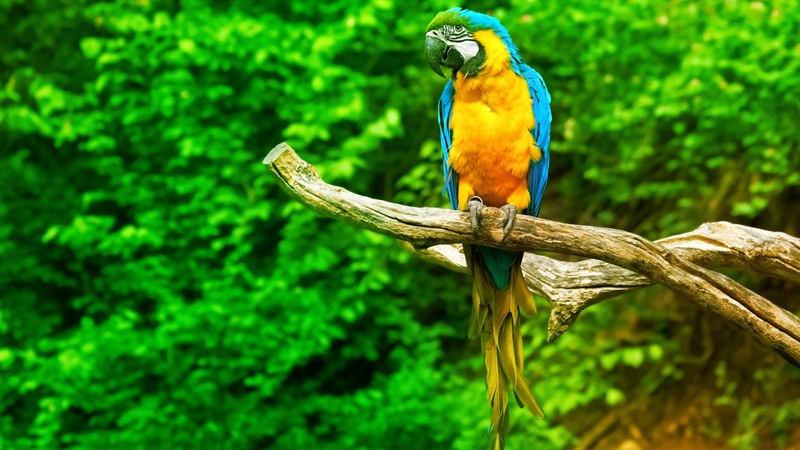 There are several talking parrots as the Wildlife Park such as the Blue and Gold Macaw. The hill Myna is another favorite as it can mimic other birds, whistle a tune and imitate human speech. Most parrots live in tropical countries in the southern hemisphere South America and Australia having the largest number of species. They are forest dwelling birds and travel in pairs or small groups. Those that live in open grassland tend to travel in larger flocks. All parrots generally have an upright stance with two toes in front and two toes in the back. They have a characteristic hooked bill with the upper mandible having slight mobility in the joint with the skull. This strong bill is used to crush nuts, which is part of their diet that also includes fruits, nuts, seeds, leaves and bark. It also acts as a 'third foot' when climbing. Parrot are monogamous and stay loyal to their partner. They lay white, almost spherical eggs in simple nests built in holes in trees or in grassy areas. The hatchlings are depend on their mother for some weeks before leaving the nests.